The Finnish archipelago is unique and one of the most amazing and exotic locations for spending your holidays and rejuvenating yourself. If you are coming to Finland and haven’t checked out the beautiful South West archipelago, you probably haven’t seen Finland at all. 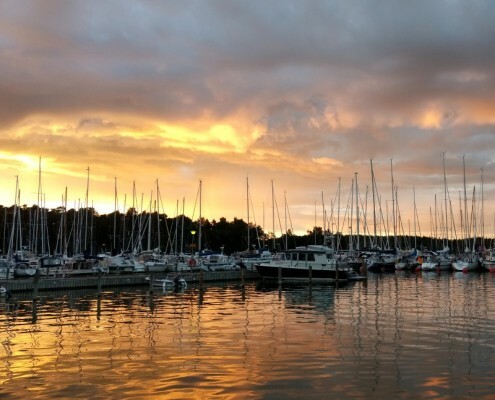 Nagu and the surrounding archipelago will catch your attention at the very first sight. You will adore it for its peacefulness, untouched nature, serene atmosphere and sunny weather. 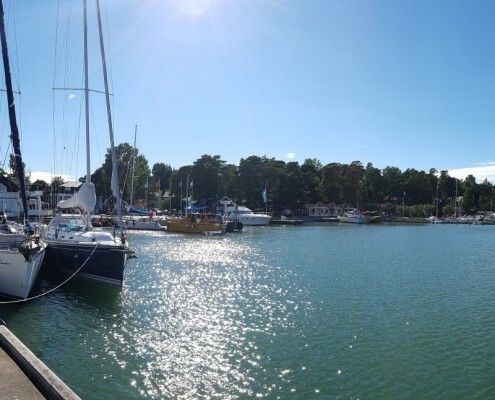 Nagu Marina in Nagu village centre is the premier marina in the South West Archipelago. 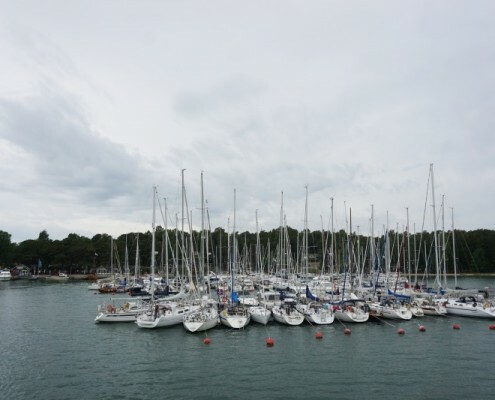 Services in the marina are versatile and the marina is in the middle of an active, traditional archipelago and seafaring area. The local attractions include shops, restaurants and cafés, hotels, art, beach, and events. There is a lot to see and visit in the village centre and in the neighboring area. 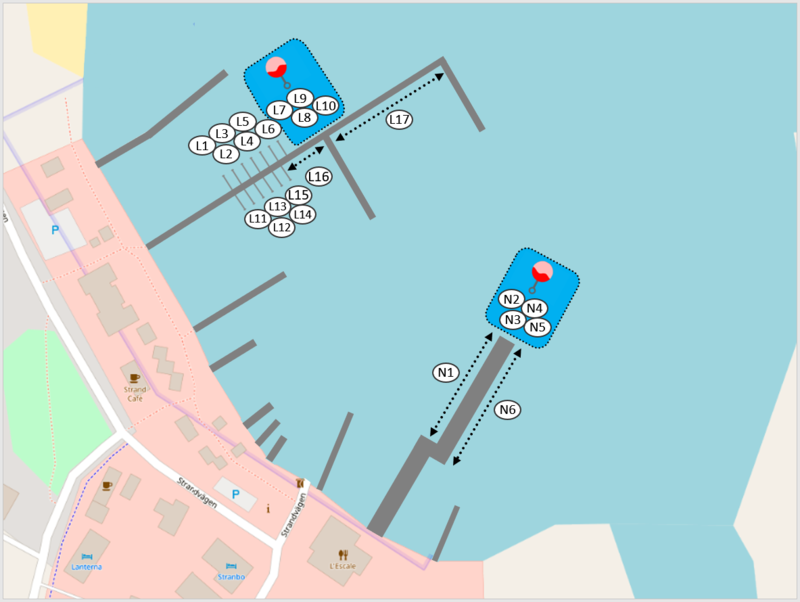 In the marina you find most of the services needed when boating and within a few minutes walking distance are groceries, pharmacy, liquor store (Alko), banks, market place etc. 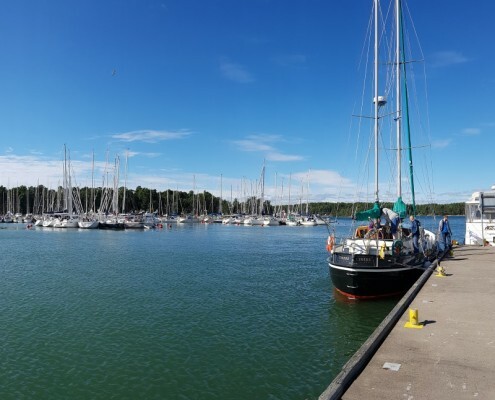 Nagu harbour has shaft, side and post berths that are bookable in advance from the online booking system. For these berths we are charging a booking fee. The slips are marked with signs and are prohibited from berthing without a reservation. Check-in is from 14:00 on the day of arrival and check-out is until 13:50 on the day of departure. Your mooring place should be taken up by 20:00 at the latest on the day of arrival, otherwise it may be allocated to another customer. Booking fees paid will not be refunded. If you want different rules in terms of the above-mentioned time, please contact the harbor master to get confirmation for your request.